Available in March 2019. 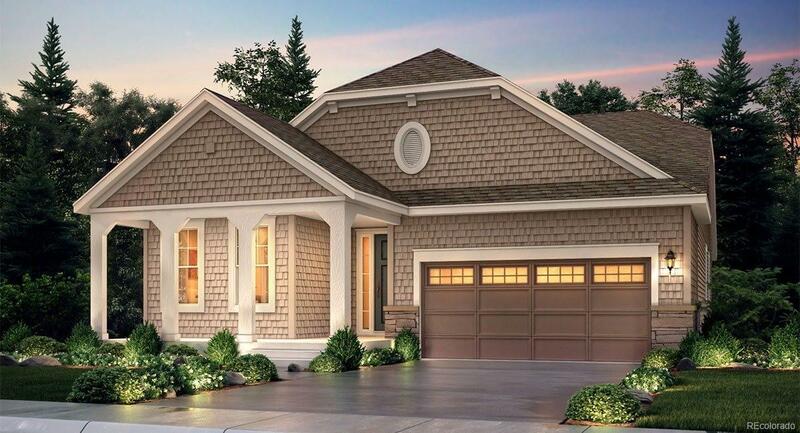 Colorado living at its finest - Beautiful Graham ranch is located in the new Provenance community. 3 beds, 2 baths, great room, spacious kitchen & 3 car garage. Hardwood floors & carpet throughout. The large master has a 5 piece bath w/slab granite counters, separate shower, dual vanities, garden tub & huge walk-in closet. The kitchen has a large island and stainless steel appliances. An open basement is waiting for your future expansion. Lennar provides the latest in energy efficiency & state of the art technology seamlessly blended w/luxury to make your new house a home. What some builders consider high-end upgrades, Lennar makes a standard inclusion over $35,000 value. Provenance is conveniently located close to shopping, dining, entertainment, transportation, parks/trails and other great outdoor opportunities - Amenities abound. Easy commute to Downtown Denver, Boulder, Golden and beyond. Provenance is not just a community, its a lifestyle!